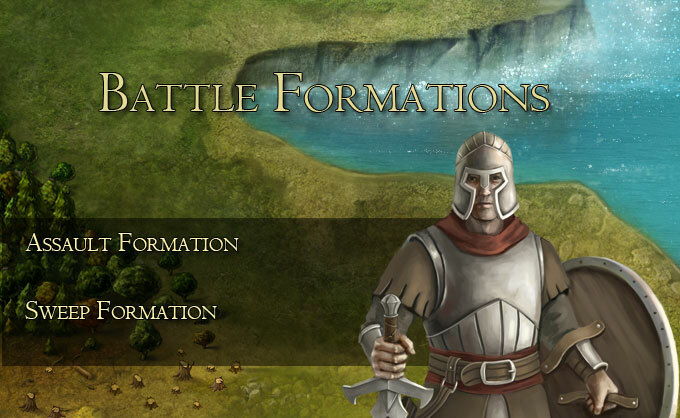 Battle Formations are an effective way to manage large amounts of troops. You can always go ahead and place each individual unit click by click but if you control an army of 50,000 troops you will probably find the formations really handy. This way a lot of time can be saved for other micro management activities. The main idea of the assault formation is to break through the enemy walls as fast as possible. 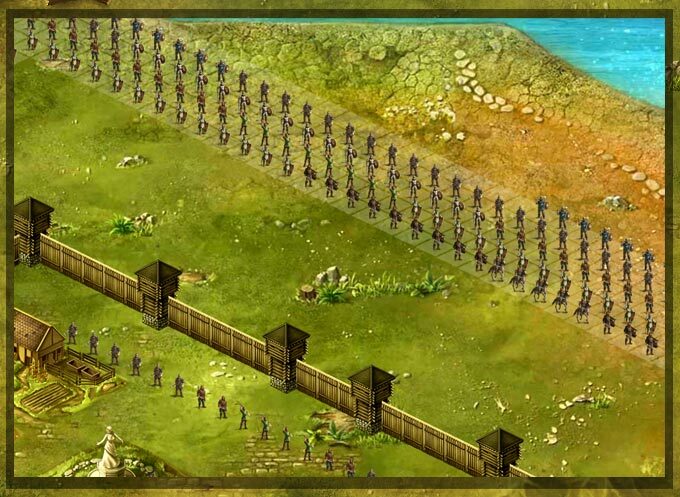 Units that deal the highest amount of damage to walls are placed on the frontline. The aim of this formation is to take down any army outside the enemy walls. Since the walls are no priority here, the siege machines are not assigned. Sweep can be used to clean up an enemy castle`s outskirts before going in for the resources. 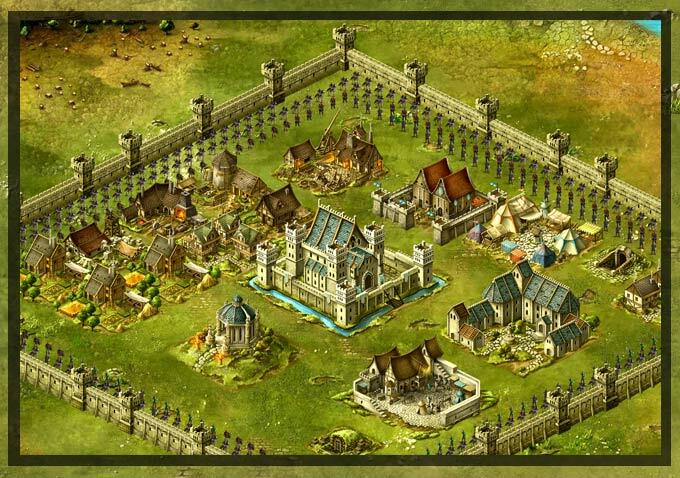 This formation is very usefull during the preparation of a siege attack - as soon as the enemy starts arranging troops outside his walls you can go in and clean them up before their numbers grow. Wheter you use them for a specific strategic reason or simply because you want to skip the part with the army placement, battle formations are there to make your life easier.